A harp made for a giant. Not quite, but more than just a typical view of the iconic Erasmus Bridge in Rotterdam. 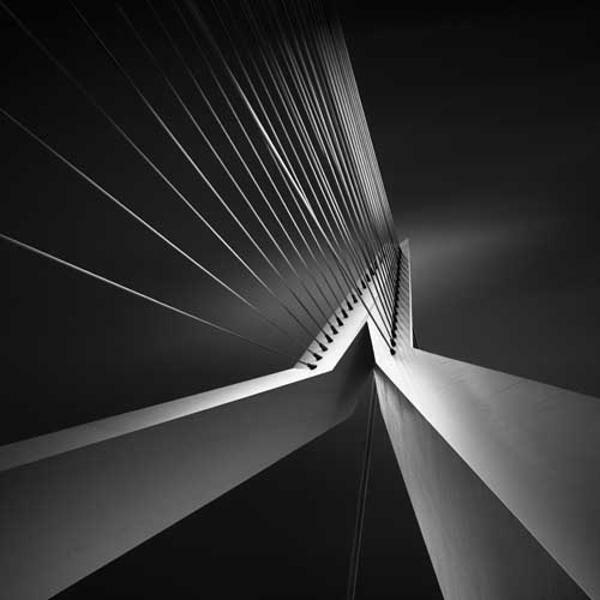 An architectural abstract that captivates and mesmerizes the viewer with the soft lighting against the night sky. A wonderful custom photograph for any setting.